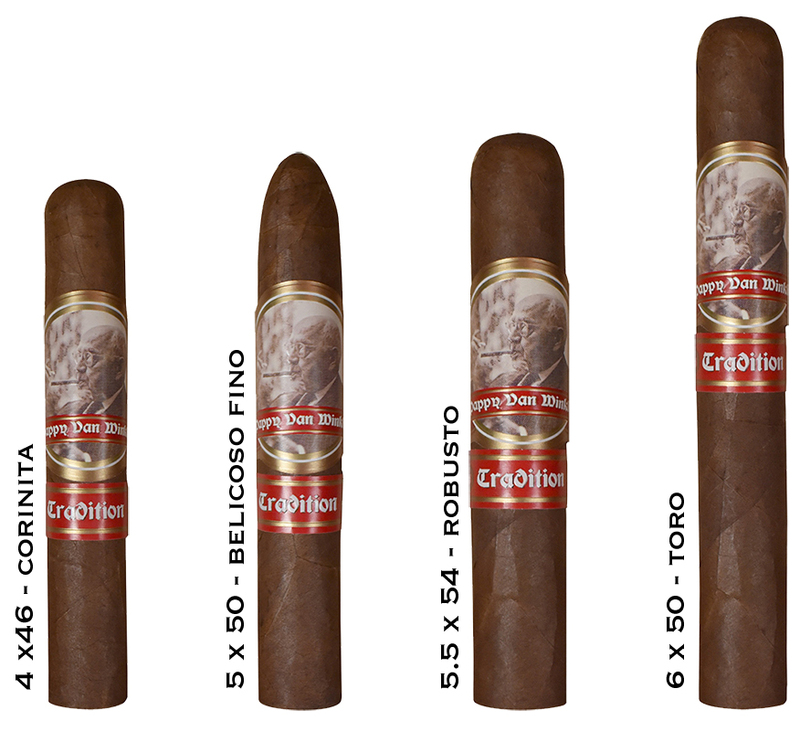 Pappy Van Winkle Tradition - Buy Premium Cigars Online From 2 Guys Cigars . From Drew Estate comes the Pappy Van Winkle Tradition. The cigar is a representation for the Van Winkle family who produces some of the most highly sought after bourbon and rye. The Pappy Van Winkle Tradition features an oily Ecuadorian Habano Oscuro wrapper, Indonesian bider and aged fillers from Nicaragua and the Dominican Republic. The cigar is limited to Drew Diplomat accounts such as 2GuysCigars.com and is expected to sell out fast. The cigar be enjoyed as a stand alone smoke, but it pairs exceptionally well with Pappy Van Winkle Bourbon or Rye which is just as rare as the cigar itself.